Everyday. 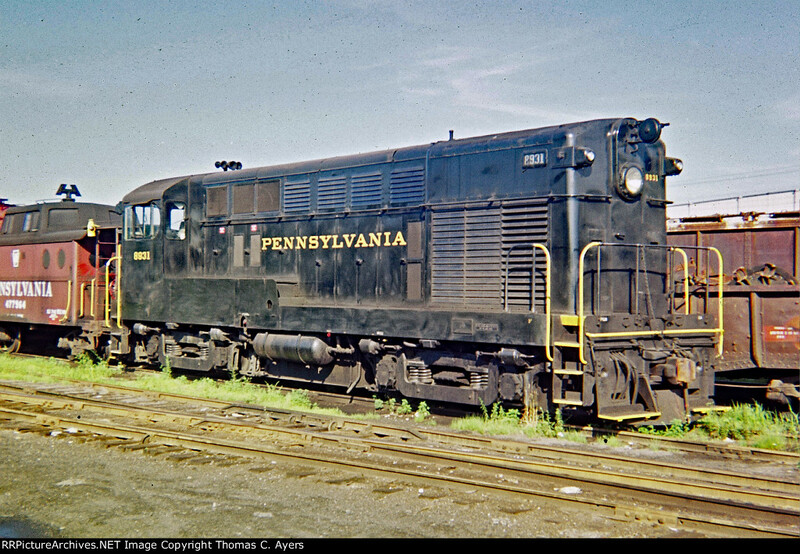 Here is an original photo that I took of a Pennsylvania Railroad locomotive in Hollidaysburg, Pennsylvania, on 24 July 1962. Shown here is PRR engine #8931, an FS-20M built by Fairbanks-Morse in 1951 and rated at 2,000 horsepower. It is idling-away at the end of a busy Tuesday, awaiting the call to work the next morning. Also visible is N-5C caboose #477964. This photo was taken near the Yard Master's office, at the very eastern end of South Juniata Street.